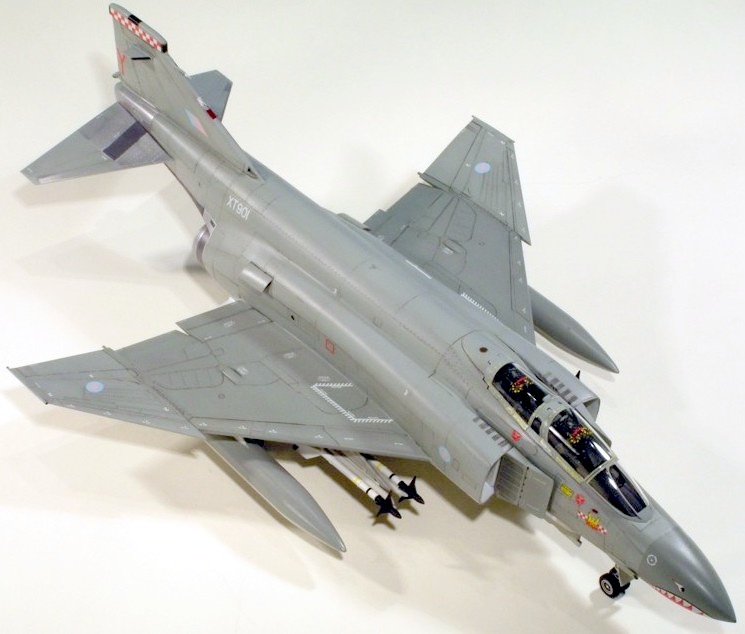 Following the earlier Hasegawa F-4D and F-4S is this RAF Phantom II FGR.2. 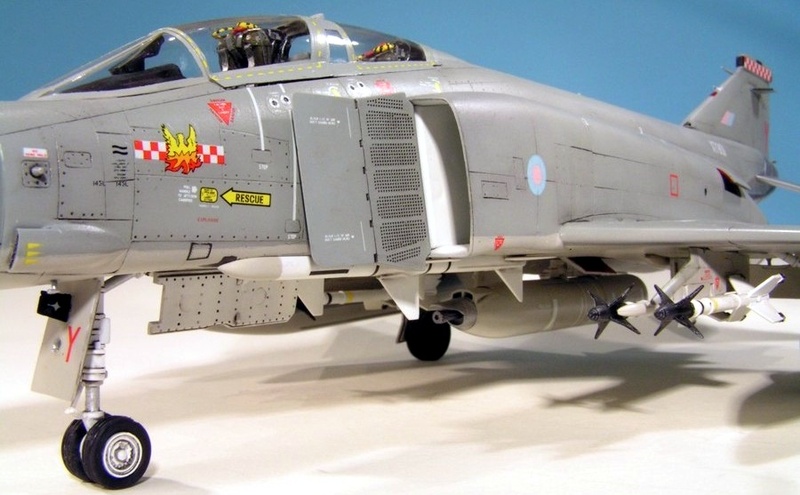 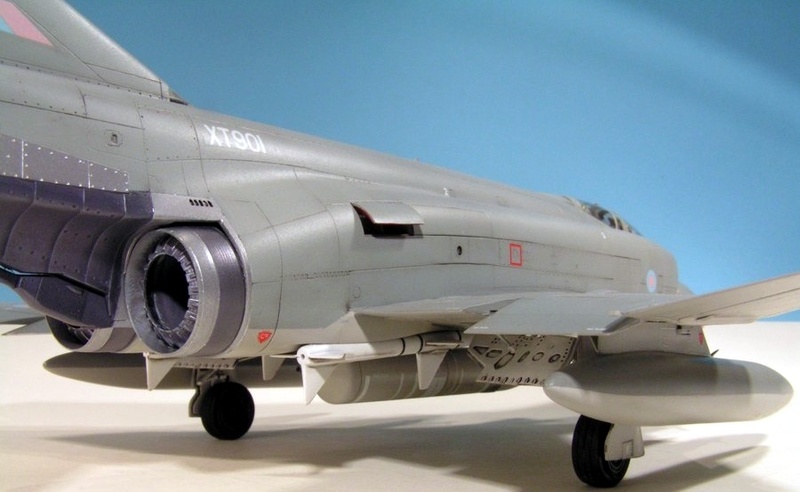 Many parts of this kit are completely different from the US versions to accurately portray the British Phantom with its larger air intakes, different fuselage intakes and engine exhausts, and a new wing with positionable flaps. 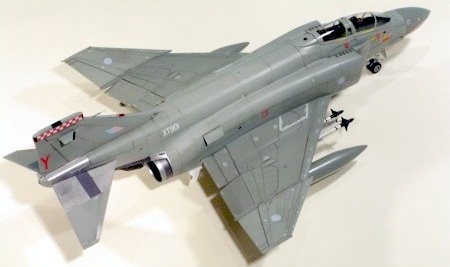 The wheels are supplied in white metal with vinyl tyres and overall I think these are the nicest of the Hasegawa Phantoms; I have an FG.1 in the stash which I will build as a Royal Navy machine. 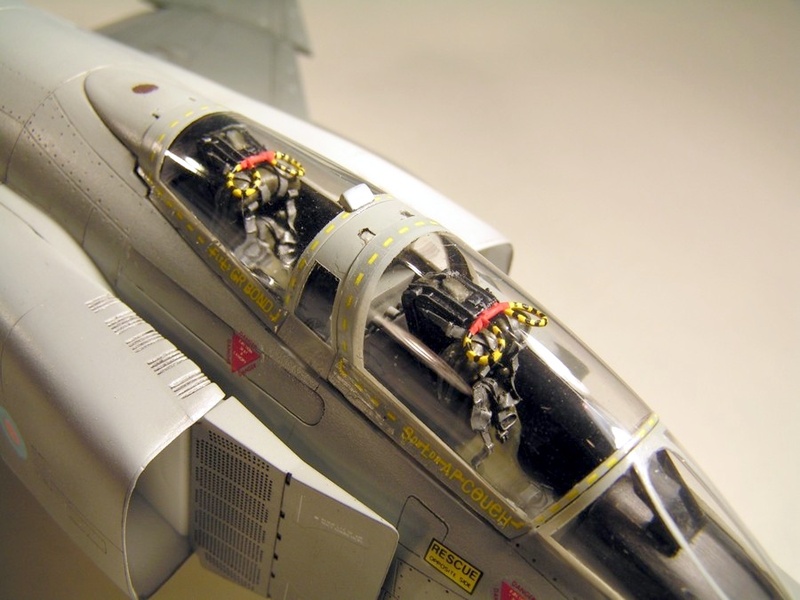 I assembled this kit with no problems and made a small addition in form of True Details resin seats, which are good value and well-detailed. 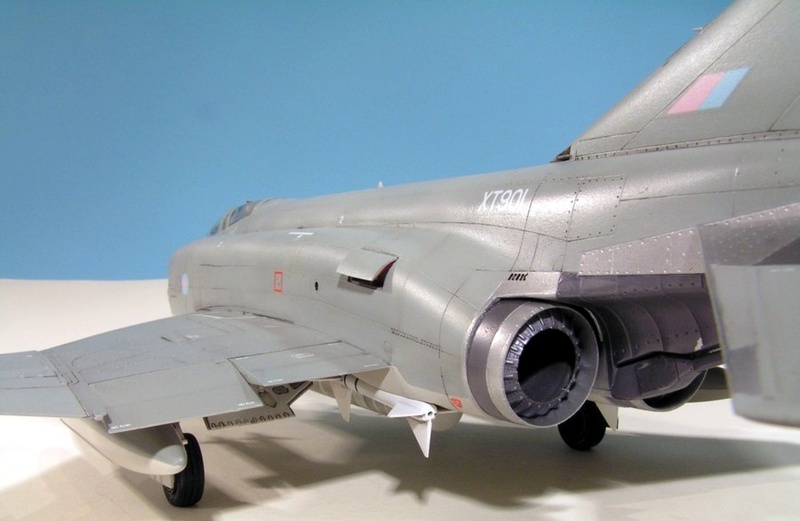 The model was painted in Humbrol enamels, Klear and an oil wash. 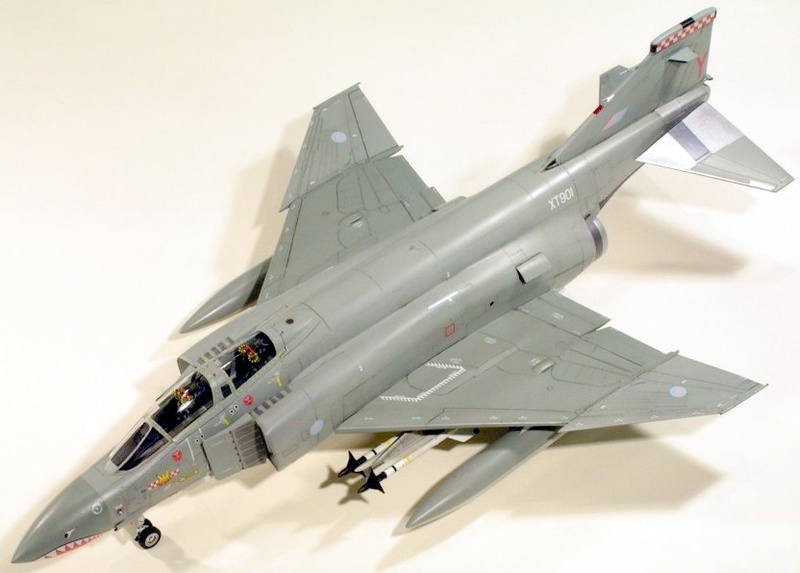 The kit decals are generally good, but the colour of the low-viz RAF roundels was completely off. 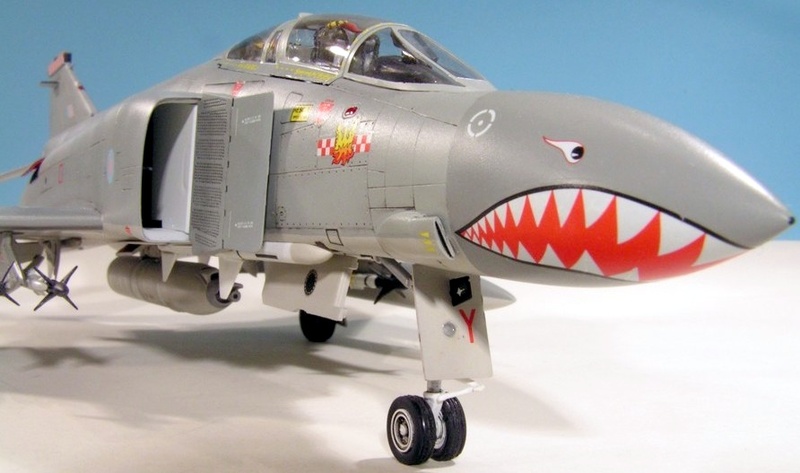 I used an Almark decal sheet to replace them and some of the other markings for this particular aircraft. 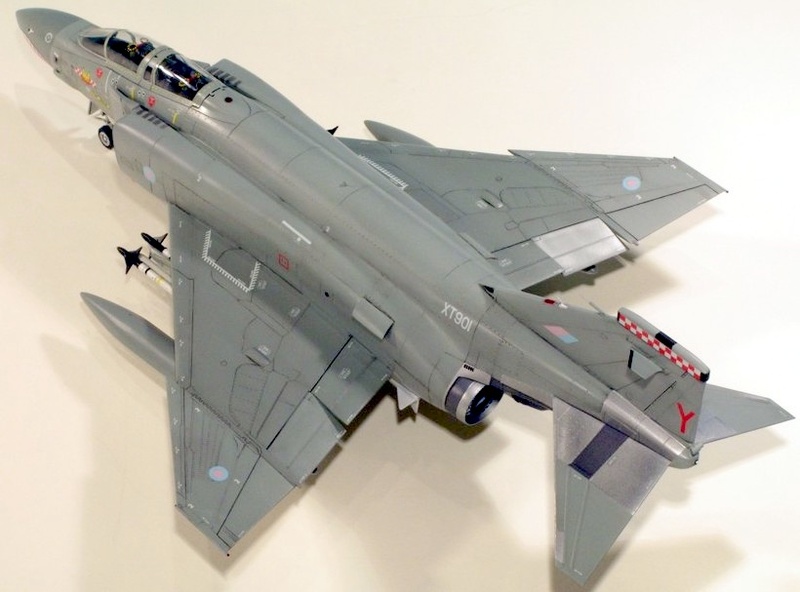 The Almark decals were not great, the stencils being very indistinct and poorly printed. 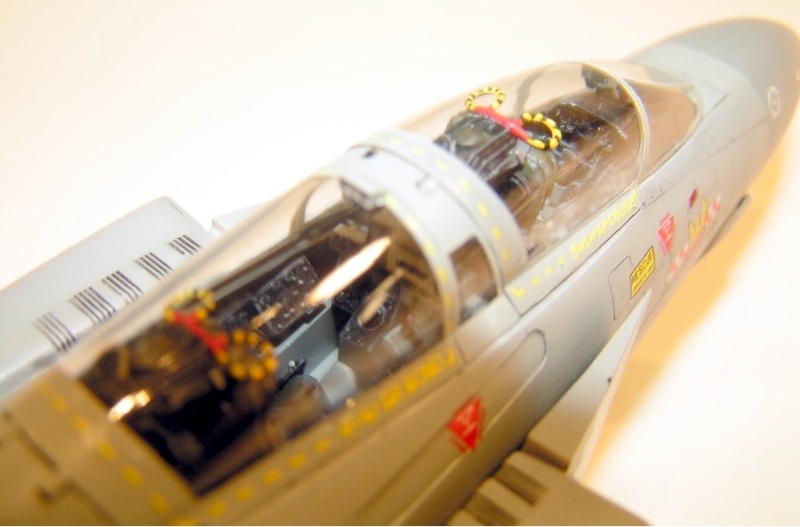 A gun pod is supplied in the kit, which I utilised. 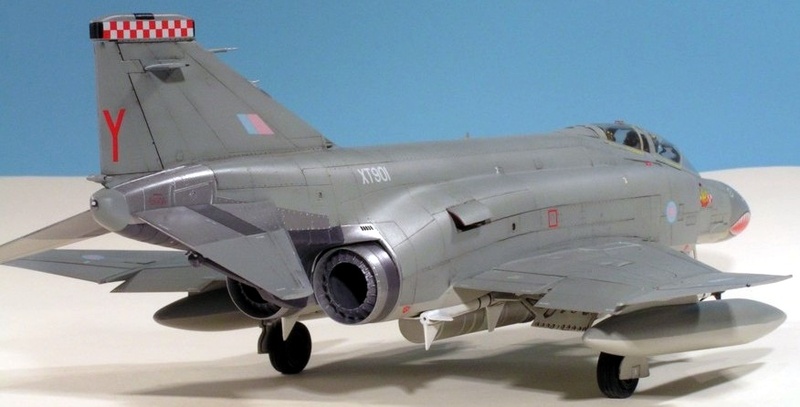 A nice model and looks great alongside my low-viz RAF Lightning F.6.